My daughter has play dates with another family whose boys are totally into superheroes (Marvel and DC). From them, she starts getting into superheroes and even dressed as Wonder Woman from the Justice League for last Halloween. 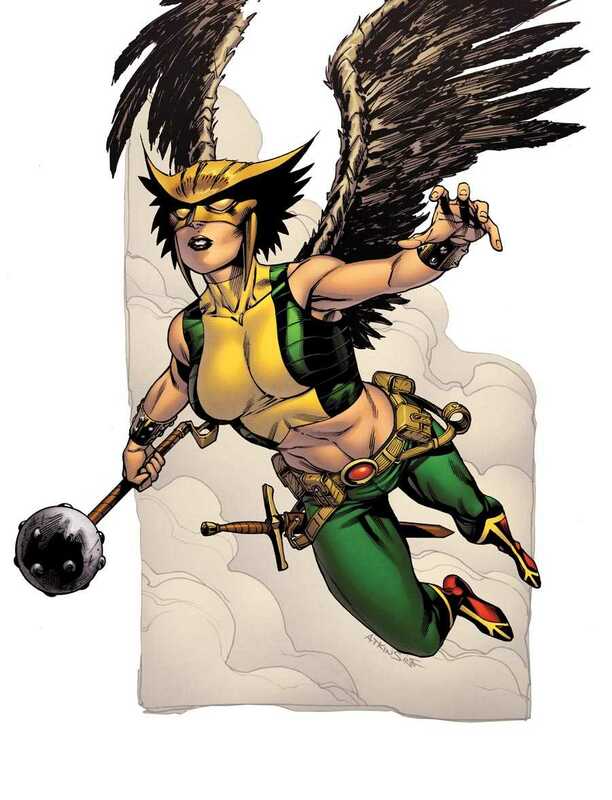 One of the other characters from the Justice League is Hawk Girl and my daughter likes her as well. 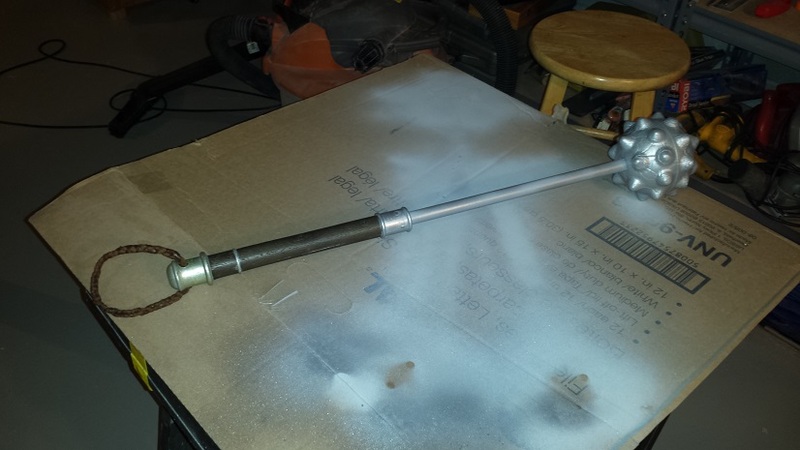 My daughter sees me making a bunch of fun things for Halloween and asked me to create Hawk Girl's mace because that's what she wants to dress up as next year. Step 1) Look online for a foam mace. Best thing I could find was a weapon set from Brave. Step 2) Take apart mace from plastic chain, cut handle of axe and attach to 1/2" copper pipe. 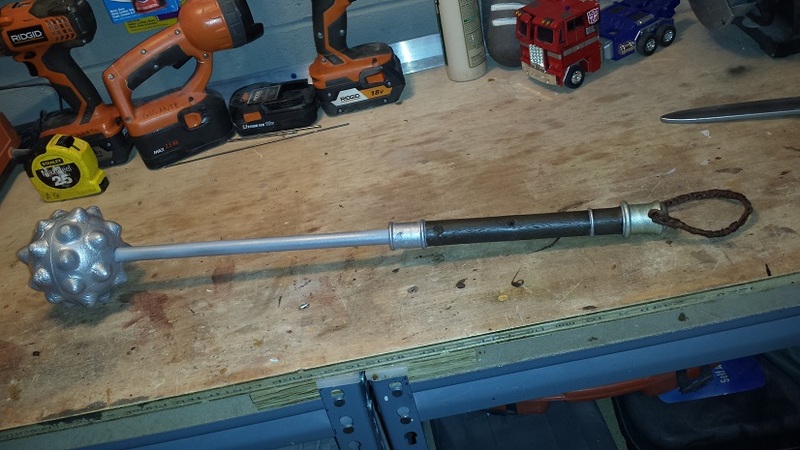 Step 3) The handle was hollowed out so the pipe basically goes the entire length to the mace. I screwed the handle in place and painted the screws so that they blended. 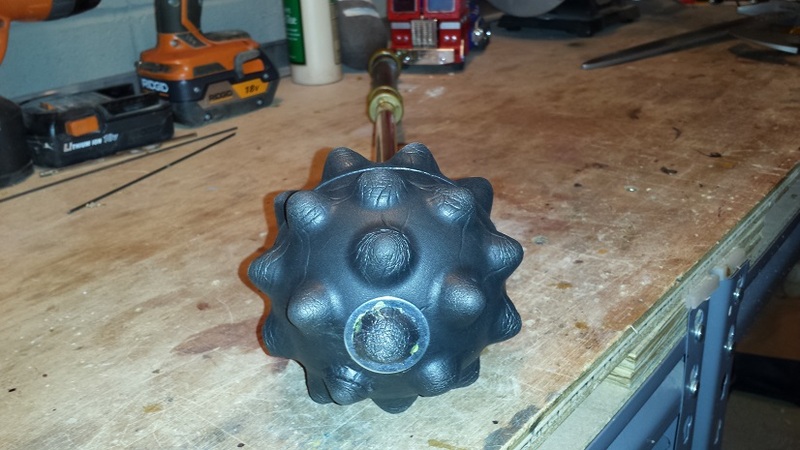 Step 4) I used contact cement to do the initial grab of the foam mace onto the copper handle. 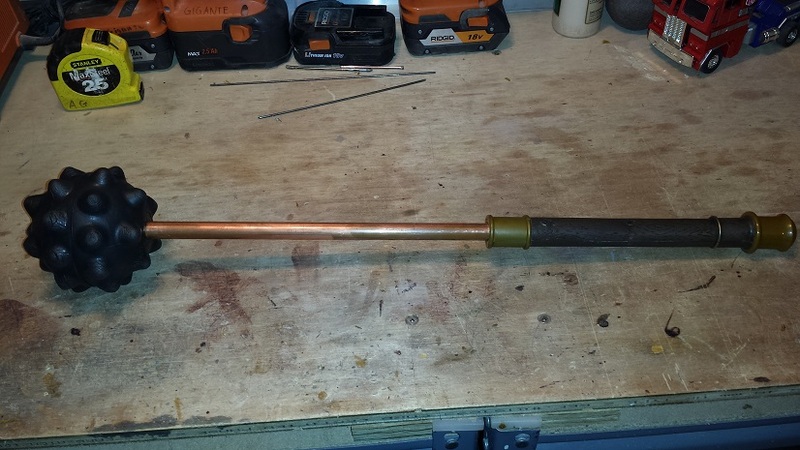 Step 5) I JB Welded a 1/2" wooden dowel on the inside of the copper pipe and screwed a screw with a washer on the top. I re-glued the spike I cut off at the top to finish off the look. Step 6) Spray paint and add a braided cord to the end. I'm sure by now she forgot she even asked for it.